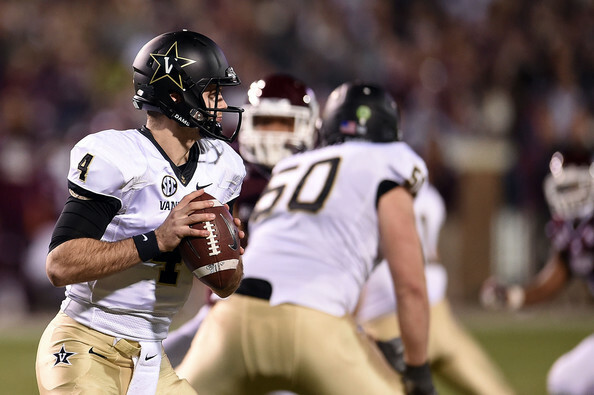 Vanderbilt quarterback Patton Robinette has decided to stop playing football over concerns for his health. He told head coach Derek Mason on Thursday before telling his teammates on Friday morning. “This has been a very difficult decision to make,” Robinette said in a statement through the school. “This team means the world to me and I love playing football more than anything. It’s been tough coming to a decision that is right for my family and I, and protects my health and future. Robinette’s decision comes on the heels of former San Francisco 49er Chris Borland and former Michigan Wolverine Jack Miller. Both of those were concerned about the long-term impact of concussions. Robinette enrolled early at Vanderbilt in 2012 to participate in spring practice. He did not play until 2013 when he was thrust into action as quarterback to injured Austyn Carta-Samuels against Texas A&M. He went 15 of 28 for 216 yards with a touchdown and 2 picks against the Aggies. For the 2013 season, Robinette went 46 of 88 (52.3%) for 642 yards with 4 touchdowns and 5 interceptions. He also ran for 214 yards and 7 touchdowns on 71 attempts. He did not play as much in 2014 due to a concussion he suffered against South Carolina that caused him to miss the rest of the contest versus the Gamecocks and the next 6 games as well. He finished 2014 going 43 of 67 (64.2%) for 454 yards with 3 touchdowns and 3 interceptions. He had 29 rushing attempts for 63 yards and 1 touchdown as well in 2014. Vanderbilt still has three quarterbacks on the roster in sophomore Wade Freeback, redshirt sophomore Johnny McCrary, and redshirt freshman Shawn Stankavage. 2015 recruit Kyle Shurmur will not be on campus until the fall. Freeback and McCrary both saw action in 2014. Freeback went 34 of 72 (47.2%) for 376 yards with one touchdown and 5 interceptions. McCrary went 78 of 152 (51.3%) for 985 yards with 9 touchdowns and 8 interceptions. He also had 39 yards rushing on 22 attempts. Robinette will enter medical school upon completion of his degree. 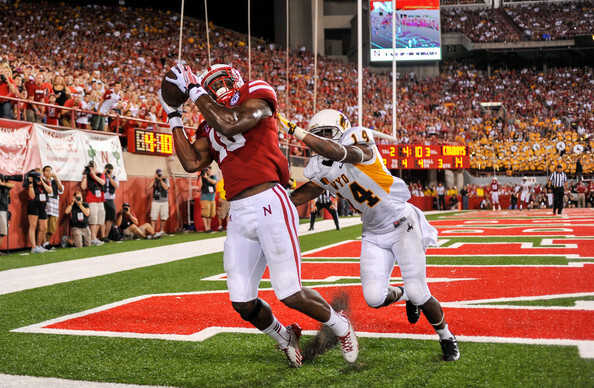 Nebraska wide receiver Jamal Turner has been granted a fifth year of eligibility. Turner confirmed the news on his own Twitter account on Thursday. Turner has shown to be productive in Lincoln when he has been healthy. As a freshman in 2011, Turner played in 12 games with 15 catches for 243 yards. In 2012, he played in 14 games, starting 4 while catching 32 passes for 417 yards and 3 touchdowns. In 2013, Turner played in 8 games while recording 13 catches for 102 yards and a touchdown. Last season, Turner played in and started the first two games before he ruptured his Achilles’ heel. He had 4 catches for 37 yards against McNeese State and Florida Atlantic. For his career, Turner has 64 catches for 799 yards and 4 touchdowns. Turner applied for medical hardship and received it from the NCAA, which allows him to return for a fifth season in 2015. Turner also had a leg injury in 2013, which forced him to miss the final five regular season games for the Cornhuskers. He was able to play against Georgia in the Gator Bowl. Turner has also been used on special teams. In 2011 and 2012, he returned 8 kickoffs for 172 yards. In 2012 and 2013, he returned 8 punts for 40 yards. The Oregonian is reporting that offensive lineman Jamal Prater and wide receiver B.J. Kelley will not be back for 2015 and have decided to transfer. Both were backups at their respective positions. Prater, a senior from Etiwanda, California did not see much playing time in his career at Oregon. He played in a total of 9 games between 2012 and 2014 with last season his most extensive playing time with 5 appearances. Kelley, also a senior, hails from Fresno, California. As a redshirt freshman in 2011, he caught 6 passes for 103 yards and 2 touchdowns while playing in 11 games. 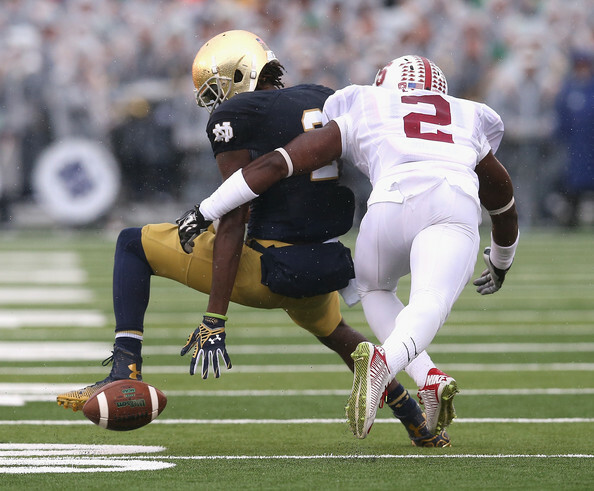 In 2013, Kelley had 1 catch for 13 yards in 8 games and also returned 2 punts for 53 yards. Last season, Kelley played in 5 games, but had no catches. In all, Kelley had 7 catches for 116 yards and 2 touchdowns. There is no word on where the two players might transfer to. Kelley has talked to FCS Programs according to Greif, but nothing definitive has come of the talks. Kelley would be eligible to play immediately at an FCS school. 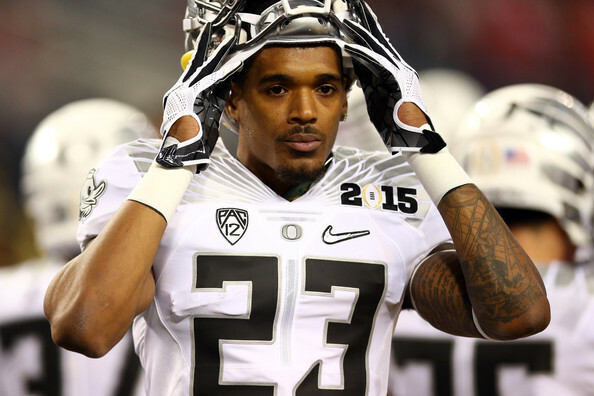 Five other players have chosen not to come back in 2015 for the Oregon Ducks. They are offensive lineman Andre Yruretagoyena, wide receiver Chance Allen, defensive back Stephen Amoako, defensive lineman Sam Kamp, and defensive back Isaac Dixon. Yruretagoyena and Kamp decided to retire while the other three transferred out of the program. Oregon starts spring practice on Tuesday. The final Road to the Kentucky Derby race on Saturday, March 28 will the Grade 1 Florida Derby. The other two races, the Group 2 UAE Derby and the Grade 2 Louisiana Derby, will have been settled by the time the Florida Derby goes off. The Florida Derby will be at a mile and an eighth with 9 three year olds racing for a purse of $1,000,000. As with the other 2 Derby Preps on Saturday, the top four finishers will receive points towards the Kentucky Derby Leaderboard. The winner will receive 100 points, second place will receive 40 points, third place will receive 20 points, and 10 points will be awarded to the fourth place finisher. The Grade 1 Florida Derby is carded as the 14th and last race on the Gulfstream Park card on Saturday with a scheduled post time of 6:48 PM Eastern Time. Free past performances can be found here. 1. Ami’s Flatter (8-1 Morning Line) – He started his career late in 2014 with a win in his debut at Woodbine going 7 furlongs. A move down south to Gulfstream saw him enter the Mucho Macho Man and finish second by 1 3/4 lengths. He was then shipped to Tampa for the Grade 3 Sam F. Davis, but he ran an even fourth. Despite that fourth place finish, he was sent back to Tampa for the Grade 2 Tampa Bay Derby where he ran a solid second behind runaway winner Carpe Diem. If the track is playing kind to off the pace types, he could sneak into the exacta. 2. Jack Tripp (20-1 ML) – He started his career on turf, but the turf career was short-lived after he finished sixth beaten 5 3/4 lengths. He then went to dirt for his next two races at Keeneland where he was second and then broke his maiden in his third start by 5 lengths. Since then he has been entered in four straight optional claiming races, but he has yet to finish better than third. Pass on his chances in this race. 3. Indianaughty (20-1 ML) – He started his career across the Atlantic in Great Britain with a third place finish over the polytrack at Kempton Park. He won his second start by 5 lengths at Linfield, again on polytrack. He was subsequently sent to South Florida and he made his turf debut a winning one by a head. Buoyed by that good performance, he was entered in the Grade 3 El Camino Real Derby and he failed to make an impact after battling for the lead. It is hard to endorse him here after that last race. 4. Itsaknockout (2-1 ML) – He has stayed here in South Florida for his first three races. He won his debut by a nose and then won an optional claiming event by 5 1/4 lengths. After those two wins, he went into the Grade 2 Fountain of Youth and finished second by 2 3/4 lengths. However, he was awarded the victory controversially after Upstart was disqualified and placed second. He will be sitting just off the pace in this race once again is one of the obvious choices to win. 5. Quimet (20-1 ML) – He started his career with back-to-back turf races, but failed to do much in those events and was given a nearly three month break. He came back to run on dirt at Gulfstream and won his comeback race by half a length in a $50,000 maiden claiming event and then finished second by 1 1/2 lengths in an optional claiming going a mile and an eighth. He then ran in the Islamorada Handicap, but was decimated by 16 lengths while finishing fourth. It is hard to like his chances in this spot unless all the favorites do not fire. 6. My Point Exactly (30-1 ML) – His first race came here at Gulfstream with a 5 furlong dash. He finished seventh by 6 1/4 lengths and then was switched to dirt where he was sixth by 7 1/2 lengths. He broke through in his third start when he was given a route of ground. He won the mile race by 10 lengths and was then shipped to Louisiana Downs for the listed Sunday Silence Stakes. That race was on turf and he prevailed by a neck. He has not been seen since that race on September 6 and will probably need this race. 7. Materiality (7-2 ML) – The second Todd Pletcher entrant comes in this race undefeated, just as his other horse Itsaknockout. He broke his maiden by 4 1/4 lengths on January 11 going six furlongs in the slop and was then given nearly two months off. The short break did not adversely affect him as he won the Islamorada Handicap by 5 3/4 lengths. He did that in his first start around two turns as well and is a serious threat to the top two choices. 8. Dekabrist (30-1 ML) – The most experienced runner in this race with 13 starts, he has gotten plenty of experience in stakes races. He was entered in the Grade 3 Lecomte on January 17, but finished eighth by 12 lengths and was then entered three more times between January 23 and February 28. He did not hit the board in those three races and he will probably be lucky to finish in the top half of the field in the Florida Derby. 9. Upstart (8-5 ML) – The morning line favorite has six career starts to his resume and he won his first two in New York bred races. He then entered the Grade 1 Champagne and finished second by 2 1/2 lengths. He parlayed that into a start in the Grade 1 Breeders’ Cup Juvenile where he finished third. Since then, he was moved to Gulfstream and he won the Grade 2 Holy Bull by 5 1/2 lengths. He won the Grade 2 Fountain of Youth over Itsaknockout, but the stewards judged Upstart to have bothered him in the stretch and placed him second. He is a deserving favorite and must be included in any tickets. This is a three horse race for the win and place. #9 Upstart has been ultra consistent in his career (6 starts, 3 wins, 2 seconds, and a third) while #4 Itsaknockout and #7 Materiality are both undefeated. It is hard to envision any of these three not winning and two of these horses not getting in the exacta. The only other real threat is #1 Ami’s Flatter if the pace is hot and the track is playing fair or kind to closers. Check back on Saturday night for a recap of the Grade 1 Florida Derby. The Road to the Kentucky Derby has three races on Saturday with the second race of the Derby Preps coming from the Fair Grounds in the form of the Grade 2 Louisiana Derby. The other two races are the Group 2 UAE Derby from Meydan Racecourse in Dubai and the Grade 1 Florida Derby from Gulfstream Park. The Grade 2 Louisiana Derby features ten three year olds going a mile and an eighth for a purse of $750,000. The field is deep in terms of quality with the likes of Mr. Z, War Story, and International Star set to race. The winner of the Louisiana Derby will receive 100 points, the second place finisher will receive 40 points, third place will receive 20 points, and fourth place will receive 10 points. The points go towards the Kentucky Derby Leaderboard, which determines the entrants for the Kentucky Derby. The Grade 2 Louisiana Derby is the 11th race at the Fair Grounds on a mega card of 14 races that includes 7 other stakes races. Post time for the Louisiana Derby is scheduled for 6:24 PM Eastern time and free past performances can be found here. 1. Stanford (5-1 Morning Line) – This three year old son of Malibu Moon is Todd Pletcher’s only in this race. He broke his maiden at Monmouth in June 2014 and then tried the Grade 2 Saratoga Special, but failed to contend with a sixth place finish by 11 lengths. A four month break saw him return in February with a length and a half win in an optional claiming event. His last race was the listed Islamorada Handicap at 9 furlongs (same as the Louisiana Derby’s distance) at Gulfstream Park. He was second by 5 3/4 lengths, but was disqualified to sixth for interference. That 9 furlong race was his first start beyond 6.5 furlongs and he has reason to improve in his second route race. 2. Mr. Z (4-1 ML) – The most experienced horse in the race has been a stalwart on this year’s Kentucky Derby trail. He has 10 consecutive stakes races with 9 of those being of the Graded variety. Going back to December, he was third by a neck to the undefeated Dortmund and then spent the next two races at Oaklawn Park. He was third in the Smarty Jones when he veered out in the stretch that undoubtedly cost him second place in that race. He then ran in the Grade 3 Southwest Stakes where he ran very well on the lead, but lost by three quarters of a length and finished third. One change that has been made is the blinkers are coming off. He will probably hit the board again, but betting on him to win here requires much higher win odds given his 1 for 10 record. 3. Defondo (12-1 ML) – He started his career at Churchill Downs with a second place finish by a length before coming to the Fair Grounds with a fourth place finish. He rebounded in his third start to win by 3 1/4 lengths and was then stretched out to a mile and 70 yards where he finished second by a half-length. He can certainly improve in his second route race, but he will need to improve dramatically to have a chance at the win. 4. Fusaichi Flame (20-1 ML) – This entrant has not raced outside of Louisiana. He started with three races at Evangeline Downs with each start resulting in a better finish. He was third in his debut, then was second in his second start (and first start on the turf), and won his third start by 2 lengths (also on turf). He then raced in a dirt stakes race where he was second by 2 lengths. An off the turf event resulted in a third place finish in his fifth start and he was then trounced in a turf stakes race by nearly 10 lengths. His last start was another off the turf event and he romped in the slop by 5 1/4 lengths. The jury is still out on his quality and he is a pass in this spot. 5. A Day In Paradise (12-1 ML) – He began his career at Monmouth going one mile in his debut, which resulted in a third place finish. He then went to Keeneland in his second start where he won by a nose and then finished fourth in an allowance race. A move down to Fair Grounds led to a second place finish in an optional claiming event and he was then sent to Sam Houston Park where he won by 3 1/4 lengths. He is light on class and will have company if he goes to the lead. 6. War Story (4-1 ML) – This guy has been chasing International Story home in the past two races. After winning his first two starts, he was entered in the Grade 3 Lecomte Stakes when he had the lead in the stretch, but finished by 2 1/2 lengths. Last time out he made a huge rally around the far turn in the Grade 2 Risen Star, but once again fell to International Story. Perhaps the extra sixteenth of a mile will help turn the tables and he certainly could come out on top in this race. 7. Keen Ice (5-1 ML) – He broke his maiden in his second start and has since run in four consecutive Graded stakes races. He was fifth in the Grade 1 Breeders’ Futurity at Keeneland in October and then tried the Grade 2 Remsen at Aqueduct where he was third by 8 1/2 lengths. A try in the Grade 3 Holy Bull left him with a poor showing (fifth by 10 lengths) before he came to the Fair Grounds. Here, he ran in the Grade 2 Risen Star and made a strong rally in the stretch to finish third. He does not seem as good as the top two horses, but that does not mean he cannot pull the upset. 8. St. Joe Bay (10-1 ML) – He has been on the Derby Trail as well with an appearance at both Santa Anita and here at the Fair Grounds. He tried to take the Grade 3 Sham Stakes gate-to-wire at Santa Anita, but found that too difficult with a fourth place finish by 9 lengths. He was then entered in an optional claiming and finished second by 5 1/4 lengths. Last time out, he tried to wire the field once again in the Grade Risen Star, but was outfinished. He finished a respectable fourth beaten only 2 3/4 lengths, but he will have far more company on the lead here. 9. International Star (3-1 ML) – The morning line favorite is deserving of the low odds considering his affinity for the Fair Grounds main track. He started his career with 3 of his first 5 starts on Turf, but only came away with one win in his debut. After a ninth place finish in the Grade 1 Breeders’ Cup Juvenile Turf, he was moved to dirt with the Grade 2 Kentucky Jockey Club where he finished fourth by 5 3/4 lengths. A trek to the south and Fair Grounds did him well as he rallied to win both the Grade 3 Lecomte and the Grade 2 Risen Star over War Story. It is tough to ignore him in this spot. There is definitely quality at the top of this race and there is also a lot of speed in here. #1 Stanford, #2 Mr. Z, #3 Defondo, #5 A Day In Paradise, and #8 St. Joe Bay all like the lead or to be near the lead. That really sets the race up for #6 War Story or #9 International Star. Even #8 Keen Ice has a chance to rally for the win if the pace is hot enough. A recap of the Grade 2 Louisiana Derby will be posted on Saturday evening.